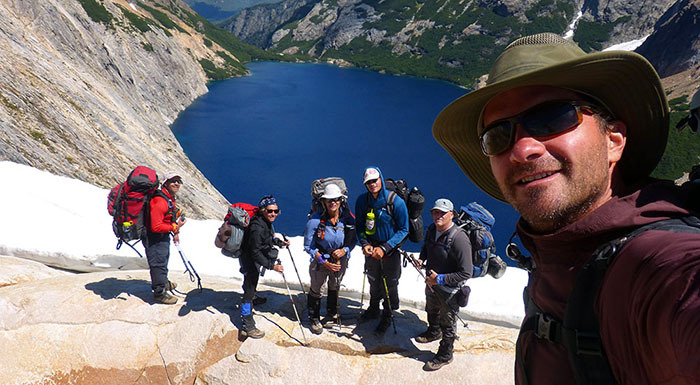 The ultimate backpacking traverse at the National Park. 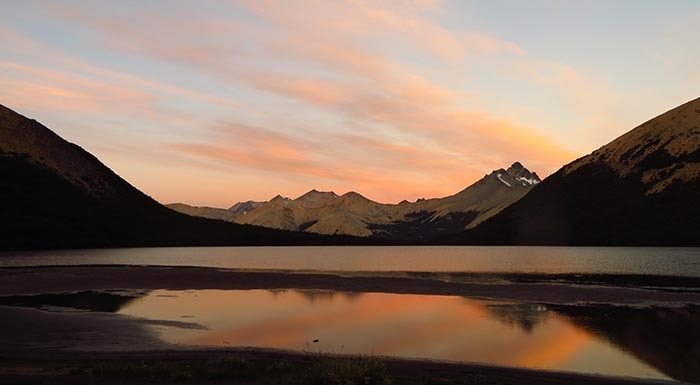 Join us in this self-sustained traverse along alpine ridges and native forests where you will camp every night at a different lagoon surrounded by beautiful peaks and the darkest skies. Live the experience of cooking in stoves, camping alone glacier curved alpine lagoons and feeling the tranquility that the wilderness can offer. Day 1: Trek from Colonia Suiza to Negra lagoon. Aprox. 5 hours. 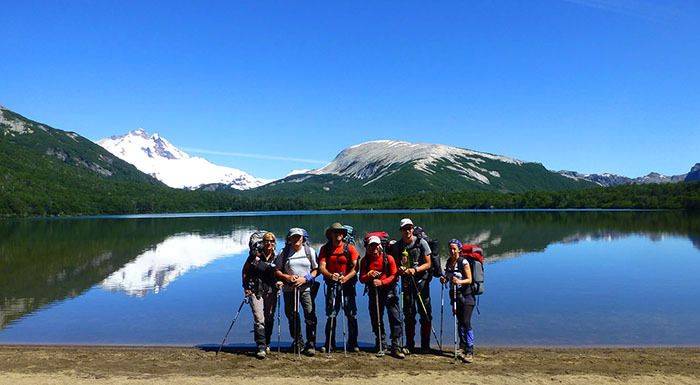 Using a well marked trail follow Goye river till it´s head waters at Negra lagoon. You will be hiking along a beautiful evergreen forest with wildflowers and the roar of the river crystal waters. This trail gets a lot of use by hikers that ascend just to Negra lagoon Mountain Hut. Camp will be set close to the hut by the shore of the lagoon. Day 2: Trek to Negra lagoon – CAB lagoon Aprox. 7 hours of hiking. After a good breakfast, the first challenge is to make your way around Negra lagoon. 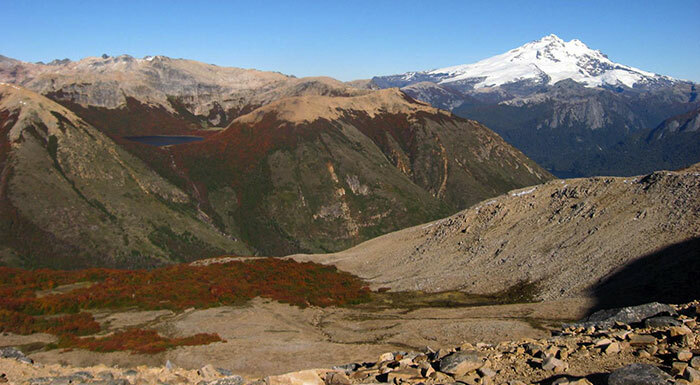 Before descending to la Chata river, you will take a moment to enjoy the view of Mount Tronador and the soaring summits. Descent to the dense forest and cross the creek. Arroyo La Chata is a good place for lunch and a well deserved break. In the afternoon the trek continues climbing towards CAB lagoon. Camp by the lagoon and take a swim at it shallow bays. Day 3: Trek to Laguna CAB – Laguna Creton Aprox Aprox. 8-10 hours. This is the longest day, it begins by climbing CAB mountain and traversing towards Mallin Mate Dulce. A wide open meadow great for a lunch stop. The second leg of the day climbs the ridgeline of Cerro Cristales, another astonishing view from where you will be able to see the next camp site, Laguna Creton. 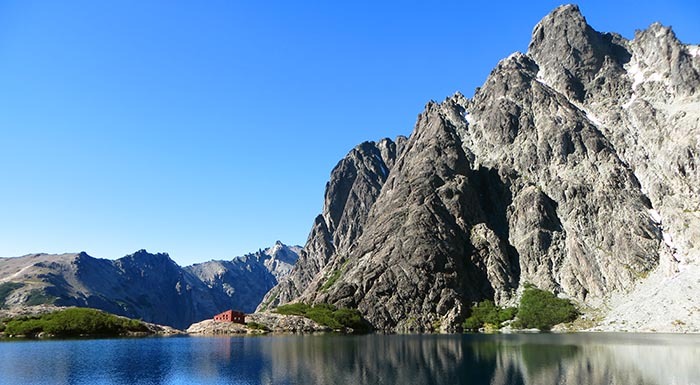 Surrounded by granite walls and big boulder fields, you will camp on a completely different environment. Day 4: Trek to Creton lagoon – Ilon lagoon. Aprox. 5 hours of hiking. Wake up by the alpine glow lights, have breakfast, pack camp and get ready for the most scenic part of the trek. 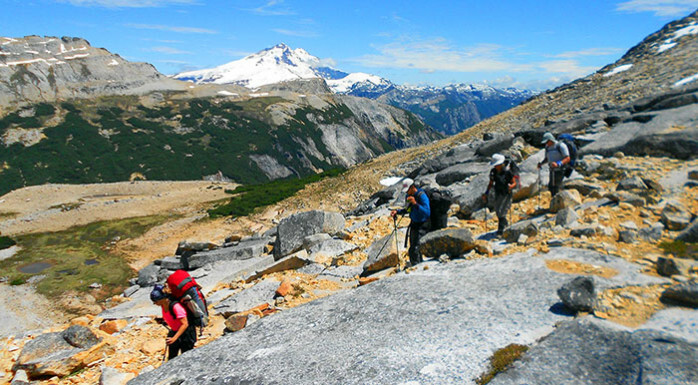 Hiking above Azul (Callvu) lagoon gives you a magnificent perfective, followed by another alpine treasure, Jujuy lagoon. Lunch break will take place at the top of Capitan ridge mount. Here is often to see Condors flying close by. From this point the remain of the day is all downhill hiking across open meadows before entering the tall Lenga forest by Ilon lagoon. This last alpine lagoon reflects Tronador glaciers creating a peculiar scenery during the sunset. Day 5: Descend to Pampa Linda. Aprox. 4 hours of hiking. Everything has an end and this is your last day so we will add a morning hike to another view point before starting the descend to Pampa Linda where the traverse finishes. Mirada del Doctor panoramic point offers amazing granite walls and a view to Frey lagoon down valley. After lunch, you will begin the descent across a wide valley with open meadows. Then reaching a stead down climb to the valley bed where you will cross Castaño Overa creek to finally end the traverse at Pampa Linda (spanish for Beautiful Meadow). Time to loosen your boots and enjoy a well deserve cold beer! 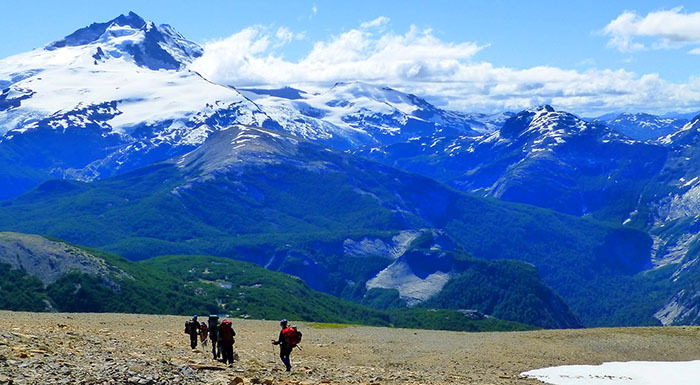 Optional: Extend your itinerary two more days by linking it to Paso de las Nubes traverse, descending towards Frias lake and catching the ship back to Bariloche. 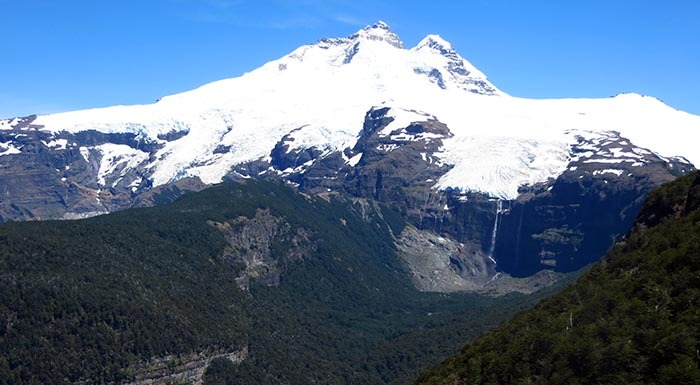 Or add a mountaineering section by climbing Tronador Argentinean Summit or traversing the Alerce glacier down to Paso de las Nubes.